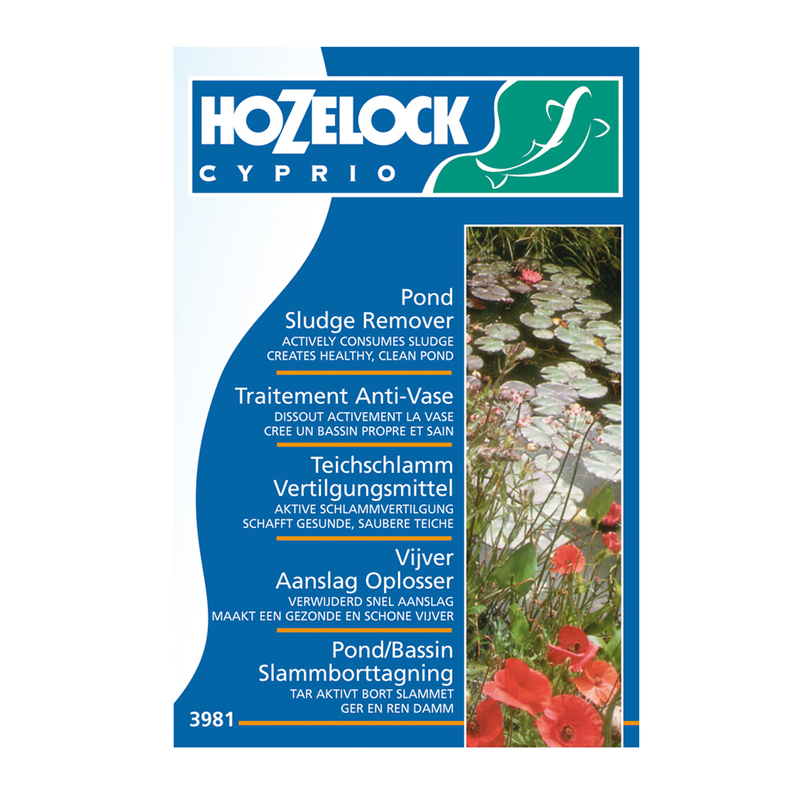 Pond Sludge Remover by Hozelock is an active treatment containing biological cultures which consume organic sludge, helping to create a healthy and clean pond. 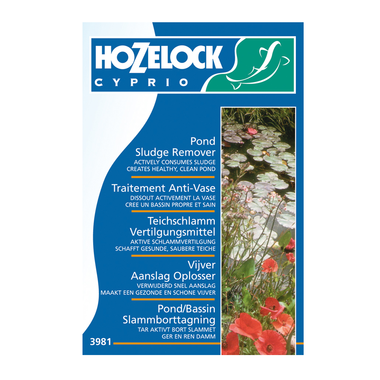 Pond Sludge Remover is harmless to fish and pond wildlife, and treats 9000 litres of water. To use, simply tear open a sachet and place the contents directly into your pond or filter. Use once a fortnight for regular maintenance. 1 pack treats up to 9000 litres. Each pack contains 4 sachets, each sachet treats 2250 litres of water. Harmless to fish, pets and pond life.